Are you unable to get to the library because of restricted mobility? 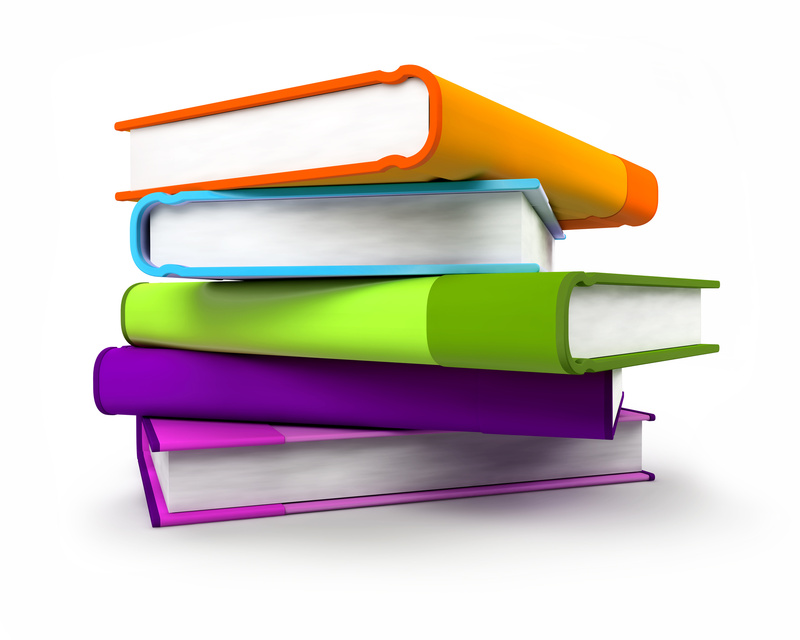 Did you know that Gippsland Lakes Community Health offer a Home Based Library service that may visit your suburb? The Home Based Library service is available to people over the age of 65 who reside in Bairnsdale, Paynesville and Lakes Entrance and have a current library membership. Once a fortnight volunteers from Gippsland Lakes Community Health can visit you at your home to deliver or collect your books, audio books, CDs and DVDs. They can also help you with your selections, offer suggestions and liaise with library staff on your behalf if necessary. Did you know that if you have internet access you can also borrow, download and read or listen to your favourite books on your computer, smart phone, tablet, iPad, iPod, eReader or other portable device? You can also view a huge selection of latest magazines via these formats using the Zinio App. This is a fantastic service from the library, particularly for anyone who is housebound. If you would like to connect with Home Based Library service or just find out a little more information, contact Janet Taylor at Gippsland Lakes Community Health on 5155 8332. 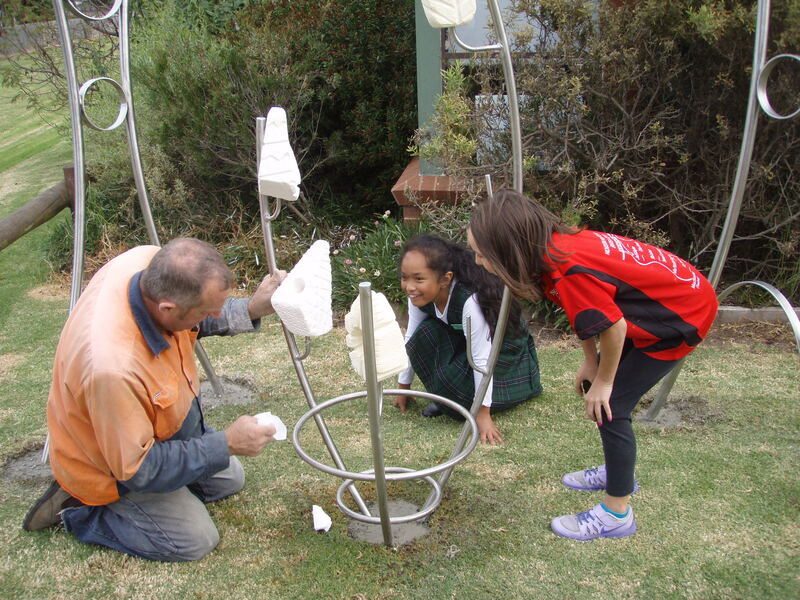 Children of East Bairnsdale have had the opportunity to work with local artist Gary Belskyj to create a sculpture for outside the Neighbourhood House in East Bairnsdale as part of a community arts project called ‘One for All’ coordinated by staff at Gippsland Lakes Community Health. 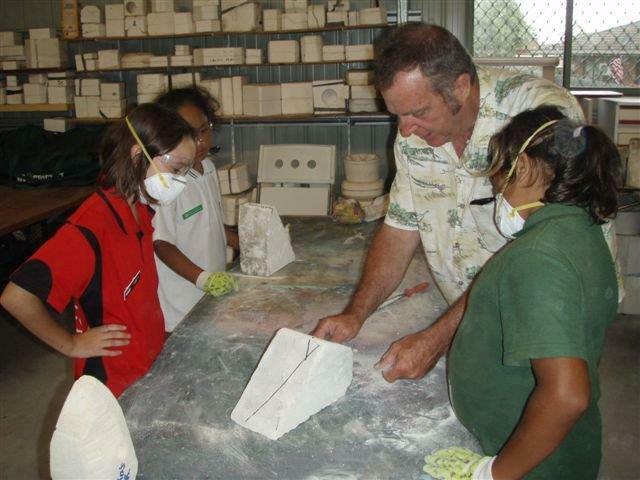 The Neighbourhood House is a meeting place for children living in East Bairnsdale and provides after school programs, parenting projects, healthy eating programs, and much more. With the support of a small funding grant from the East Gippsland Shire’s Arts Alliance Fund, ‘One for All’ is another positive step to involve East Bairnsdale residents in brighten up their streets.